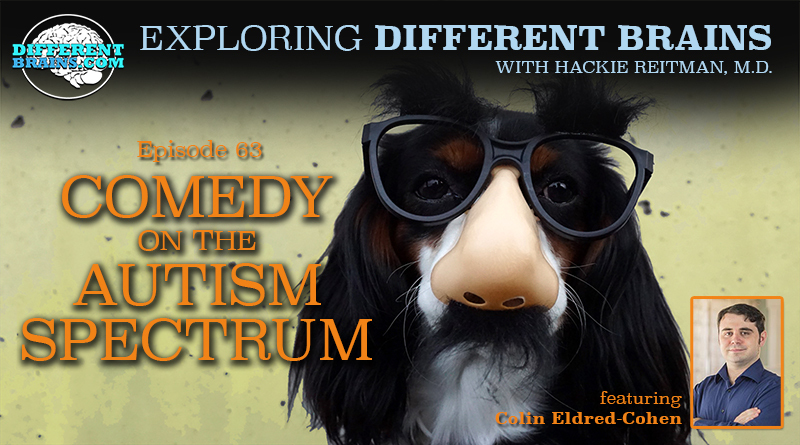 (16 mins) In this episode, Dr. Hackie Reitman continues his conversation with Jennie Trocchio, Ph.D.. Dr. Trocchio is an autism educator, consultant, and DIR/Floortime provider. 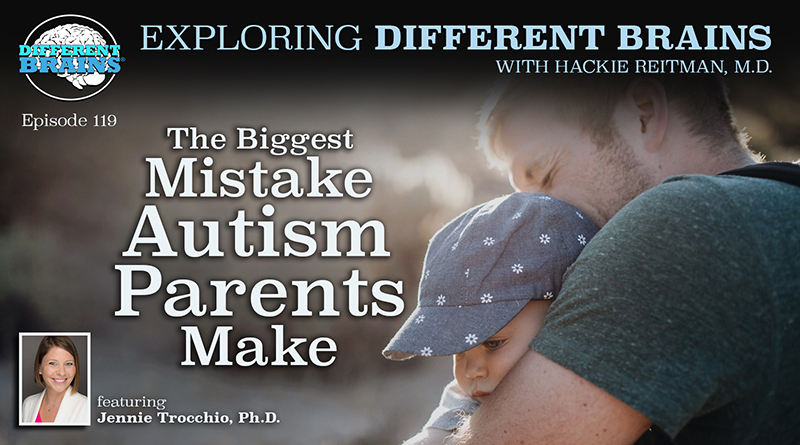 Dr. Trocchio discusses the need for people to learn the interests of and relate to people on the spectrum, and answers the question of what the biggest mistake the parents of kids with autism make. HACKIE REITMAN, M.D. (HR): Hi, I’m Dr. Hackie Reitman. Welcome to another episode of Exploring Different Brains. Today, we’re so lucky. 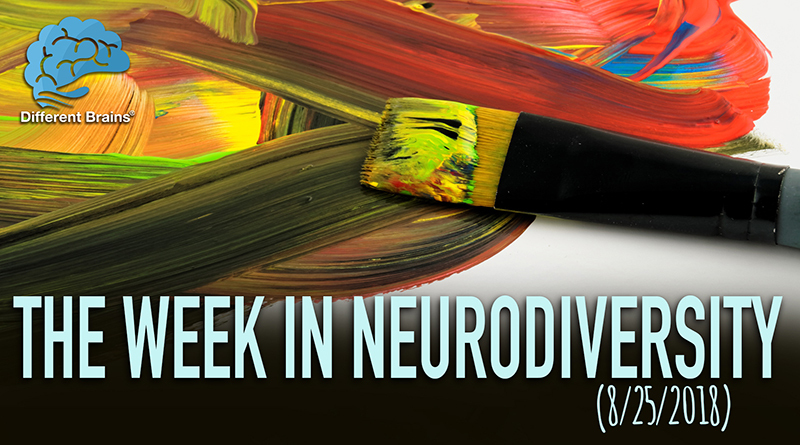 We have the return of my friend, Dr. Jennie Trocchio, who is an autism educational specialist and so much more. Jennie, welcome again to Different Brains. JENNIE TROCCHIO, Ph.D. (JT): Thank you so much for having me here. I’m so excited to be back, to see you, to see your gang. I appreciate the opportunity. HR: Now, my daughter Rebecca is always reminding me, “Dad, sometimes good intentions are not enough,” and parents have great intentions, but what is, like, some of the biggest, what is the biggest mistake that parents make when they’re interacting with their children on the spectrum? Or their adults, for that matter? JT: …that’s enjoyable, to connect, I think if every family could do that, you would know one another a lot better, relationships would be stronger, and would really be able to, to get some momentum going. HR: “…Doctor, umm, but you have to just treat everybody on an individual basis, because we all, we all are different,” And that’s the essence of the DR, DIR Floortime is what, what you’re saying. HR: Umm, how can we expand this to the adult population of those of us whose brains are different? JT: On an, on an adult level, I mean, I think you just actually used a great example of, you know, having doctors just connect with their patients first, instead of just, you know, looking at the symptoms and immediately saying, “Ok, well, this is wrong; this is wrong, so this is how we’re going to treat it,” saying, “How are you feeling? How are you?” you know, “What, what do you like to do? Let’s find ways to fit what will work into your everyday routine. Like how can we make this sustainable for you? How can we make it effective for you?” Because we’re all so different that there, there’s no one size fits all sort of strategy that’ll work, you know? Not everyone can take a, you know, little, I don’t know, little purple pill, and all of a sudden, headaches are gone forever, you know? That would be great, but that, that’s not, that’s not who we are. JT: And the sensory bit is really so critical, and a lot of people don’t know about it. A lot of professionals don’t know about it; a lot of parents don’t know about it, but the sensory needs are huge. Umm, I’ve actually started doing, umm, talks in schools and inclusion classes for the typical. “Typical”, who’s “typical”, right? The “typical” kids, umm, and I call it “Autism Superpowers”. And I find that so often, you know, a child might have behaviors that, that are quirky, you know, that look weird or you don’t really understand why, but so often if you just explain to everyone the sensory bit, and you know, sometimes they hear things that you don’t hear. Sometimes, they can’t feel their bodies. And you just explain it, but in terms of a superpower, and that’s really how I view it, umm, so many of our, I mean, the strengths in that are just tremendous. But when you explain it, then people understand. So in a classroom once, I gave a talk to, to the typical peers about this boy who had very sensitive smell, for example, and he could smell things no one else could smell. And one day, he, he was having an absolute tantrum in the classroom and the teacher immediately, you know, “That’s wrong, time out!” and kind of was pushing him away and was really yelling at him. And he was having a really hard time regulating, I mean, he was very upset because, well, we didn’t know why. Umm, then one of the peers raised his hand and said, “Well, don’t you remember? He has the superpower of smell. And can’t you smell that pizza that’s burnt from the cafeteria? Like, don’t you think that could be it?” to the teacher, who then immediately said, “Well, I think you could be correct, so why don’t we take a walk outside, you know, and then come back and everything’s fine.” I think you’re right that when you understand how that individual’s processing the world, what they see, hear, feel, what they like, it changes the game. HR: And this gets into another thing where, you know, which goes to the education of our teachers. It’s not their fault. Doctors, too. sensically”. So they would give Rebecca the toughest students to tutor one on one in math. And she had this one kid that they were going to throw out of the school; he was acting out; he was snarling at everybody; you know, he was nasty, you know, wouldn’t sit still. And so she took him in another room after talking to the parents and the teacher and, uhh, he’s sitting there, like, snarling, and she goes, “Before we start, one thing: Do you want to sit or do you want to pace?” He goes, “You’ll let me pace?” She goes, “Yeah, as long as you do the work.” He’s walking back and forth, no problem, getting hundreds. HR: Another kid, umm, wouldn’t stop the self stimming. You know, he’s pounding his foot like that. So what they did was they put a rubber kind of band across the bottom of his desk so he could do it without it bothering everybody. HR: Instead of that ending his career, you have to leave the class or you have to be in a spec-, you know, and it’s the individuality which, to my surprise, in some, my reading, I found that you get some of the most individualized teaching in the one room schools in rural America, where each kid has their own computer and the teacher walks around. And they’re all different grades in the same thing, and, and kind of do it like that. Another thing that was very uhh, interesting to me: I had an offer to become a professor at Nova Southeastern but it sounded like too much work, but, umm, they have a wonderful, wonderful, uhh, program there. They have, uhh, Tom Temple with his whole, uhh, TRED, the Translational Research and Economical Development. In addition to their osteopathic school and all their other programs, they just brought in an allopathic MD medical school. And, uhh, the uhh, the dean of that school, umm, has uhh, brought in uhh, a, the method of teaching where they’ve done away with subjects. Umm, and it’s very interesting. So they’re actually doing that right now at Nova Southeastern, in the medical school. And umm, I think that the way things are moving, it’s going to get back to, this is just my opinion, the double edged sword of modern technology. How are we going to use it? And to what extent are you going to use it? And to what extent are you going to isolate, uhh, the individual from real social situations? And I don’t know the answer to that. JT: I’m with you. I’m with you 100%. And, and it’s interesting that you’re, you’re bring up these one room sorts of schools, because I’ve seen a little bit of a trend popping up recently where, and you know I run, I co-run a couple of great support groups for parents. Umm, and a big issue that people are talking about right now is schools and you know, if they don’t love their school now, where are they going to go next year. And people are kind of comparing options, and, and not super enthusiastic. Umm, but I’ve been hearing about this new trend called “unschooling”, and I think that there might be something to it, and it’s all about, umm, you know, learning in a totally unconventional way. So I actually visited a school recently. It’s up in Tamarac, called “The Evolve Learning Community”, and what they do is they teach things like, umm, executive functions, focus, concentration, peer competition through chess. And chess is one of their subjects that’s taught every day, and, and the kids really enjoy it, and then they have problem solving time and they have, but, you know, it’s a very similar sort of concept. HR: The biggest advice you have for parents is to try to connect and spend time with your kid, you know, it’s, I’ve always been surprised, when I ask parents “What is your child interested in?” they, many of them don’t have a good answer, and yes, the, the kid or the adult “What are you interested in?”, they’re glad to tell you. It’s like nobody’s listening. JT: Exactly. There’s just some sort of mismatch here. JT: Thank you so much. Neuroplasticity. Play is the number one way to increase neuroplasticity in our brains. And I think that’s pretty huge, and the fact that we’re not playing umm, it’s, it, uhh, it worries me, to be honest. So I would like to see a little bit more play. HR: Well, that’s what we’re going to, you know, we’re going to end this on a high note. Play more! HR: Uhh, Dr. Jennie Trocchio, it’s been such a pleasure to have you here. How can people get in touch with you who want to get in touch with you directly? JT: So, um, feel free, I, to visit my website, umm, www.drjennietk.com. I also have a Facebook page, Autism Education and Development Solutions, umm, I’m on Twitter, I am on really, you name it, you can find me if you can spell my name, J-E-N-N-I-E T-R-O-C-C-H-I-O, you can find me; I promise. And I look forward to talking to anyone, everyone about how we can, you know, get the world a little bit more; how can we get a little more play in the world, right? HR: Great. 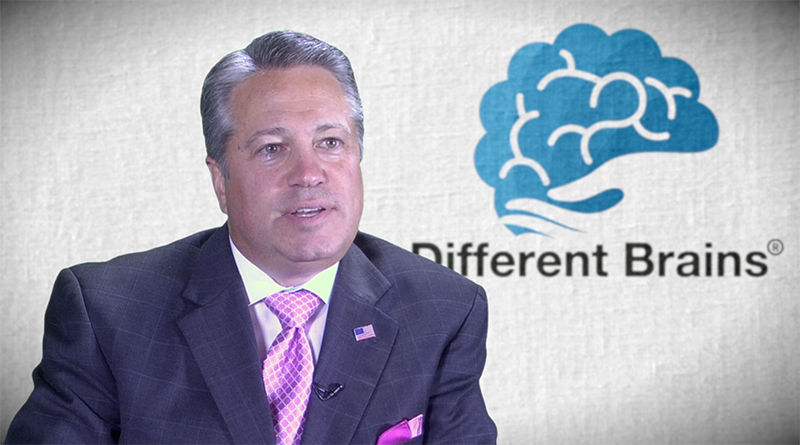 Jennie Trocchio, thank you so much for being with us here at Different Brains. JT: Of course. Thank you for having me.